Acromioclavicular separation is a very serious injury at the level of shoulder. Lesion of the acromioclavicular joint is a usual clinical condition because of its superficial situation. It is often involved in trauma of the shoulder girdle. Rockwood classification involves VI types of modifications. First three types are treated conservatively, type IV to VI surgically. 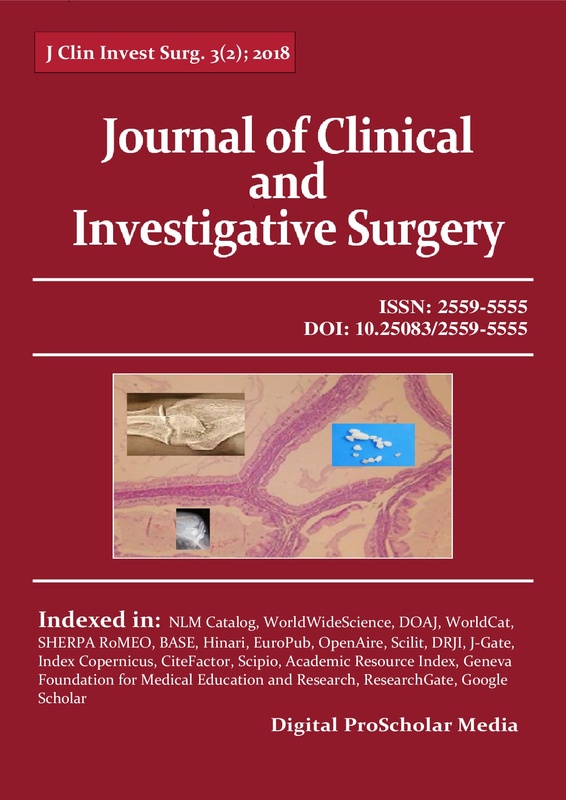 Arthroscopic techniques, lead to same middle and long-term results as open surgery. Arthroscopic procedures have theoretical advantages of no deltoid disruption and may help the surgeon to diagnose and treat associated lesions such as rotator cuff ruptures. More recently, arthroscopic surgeries for fresh and/or chronic acromioclavicular disjunctions were proposed. We analyzed 13 cases of acromioclavicular separation: 7 cases were treated with open surgery and 6 arthroscopically using tightrope, or dog bone button.